Brakes are one of the most important items on your vehicle. Leaving brake problems to chance can have negative consequences. Don’t leave your safety up to chance, when you need brake repair in Vancouver, bring your vehicle into Art Morse Auto Repair. Since 1980 we’ve been keeping brakes in peak condition, performing the repairs and replacements necessary to make sure our customers are safe in any conditions. There are some clear signs that you may need new pads or rotors, so if you notice any of these, don’t wait to come in. Increased Brake Stopping Distance – Brake pads wear over time and your brake pads should be at the minimum a quarter of an inch in thickness. Worn pads mean extended braking time and if you don’t change them can eventually lead to dangerous driving conditions. Squealing Brakes – Squealing is the last ditch effort of your vehicle to inform you of the need for new brake pads before you start grinding your rotors and calipers. When this occurs you’ll definitely need new rotors as well, a cost that can often be avoided by having brake repair in Vancouver performed before that squeal becomes a grind. Pulling – There are several brake problems that can cause pulling. Our Vancouver Car Repair technicians will go over your brakes, in order to pinpoint the exact problem and perform any brake related repairs you may require. Vibrating Brakes – This can be indicative of warped rotors, or your car may need an alignment. Our skilled Vancouver auto repair mechanics can identify the nature of this problem, performing the necessary repairs and brake work required to give you a smooth ride again. Brake Pedal Problems – A brake pedal should be firm but even. When your brake pedal goes into an extreme one way or the other, either being too mushy or too touchy, it can indicate a number of problems. Vancouver brake repair performed by our experts can solve these problems. Mushiness can indicate the need for hydraulic system repair and brakes that are too firm may need brake fluid replacement. We’ll perform a thorough brake diagnosis to repair your vehicle correctly. 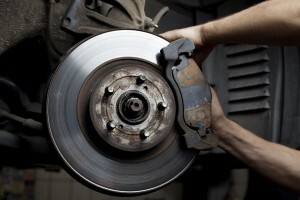 For exceptional brake repair in Vancouver, WA, call or stop by the Art Morse Auto Repair shop.